The James Martin joinery business was originally in a yard just to the West of the Starbank Inn. At the commencement of World War Two, they were requested to build Motor Fishing Vessels for the Admiralty. This was their first venture into boatbuilding and, on completion of the first one in 1941, part of the neighbouring MacGibbon’s house had to be dismantled to get the boat out. The boat was then taken by low-loader to Newhaven Slipway for launching. 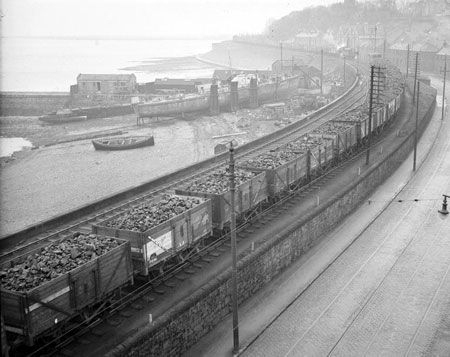 For the second build, the firm moved to premises at Granton harbour. Earlier yards on or close to this site, have been the Granton Shipbuilding Company who built small iron collier, and W. A. Phillips, who later relocated to premises alongside the West Harbour. 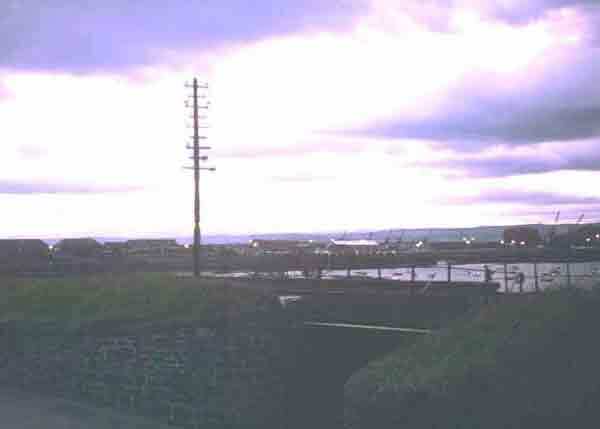 The Martin yard was located at the corner of the East breakwater and Lower Granton Road (named East Terrace at that time), and accessed through a cutting which went under the railway embankment which ran along Granton harbour front in those days, continuing on to the Middle and West piers and the gas works. The slipway was of iron rails with a cradle, which allowed boats to be lifted out for repairs, being capable of handling seventy foot vessels with a draft of up to ten feet. ©© Reproduced with acknowledgement to Captain Walter Lyle Hume, Isle of Wight. 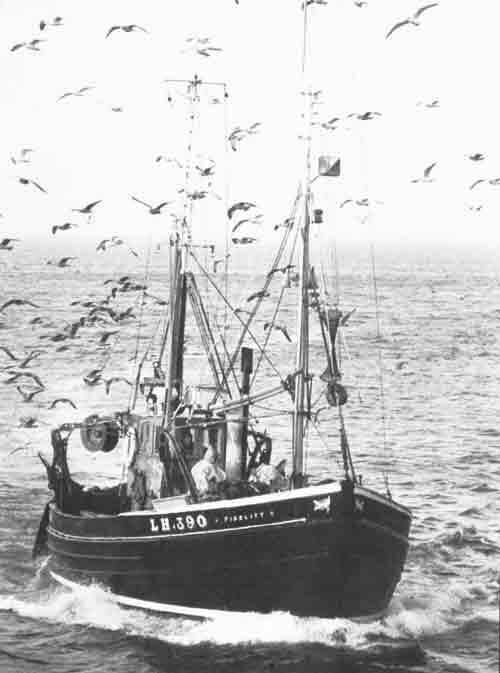 James Martin was a Newhaven man and was related to the trawler owning Listons. Also employed in the Martins yard was a local man named Fleming who was yard foreman. He had previously spent time working further North at the Buckie boatyards. 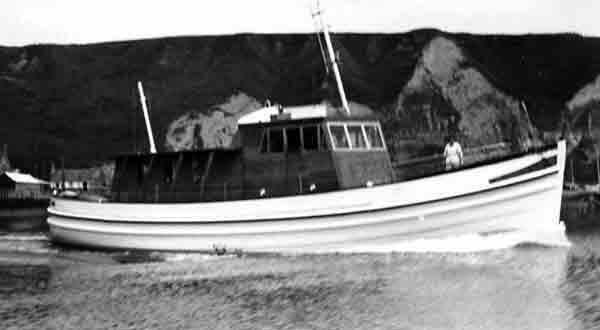 The yard built a series of eleven wooden Motor Fishing Vessels (M.F.V.s) for the Admiralty between 1941 and 1945. These vessels had an overall length of just under fifty feet, a beam of fifteen and a draft of just over six feet. Whilst it is uncertain about the earlier builds, the final four were all powered by eighty eight h.p. Kelvin’s. 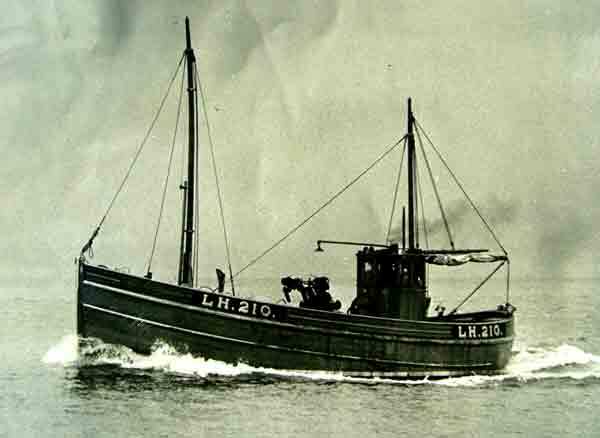 Built for naval work such as harbour patrols, fleet tenders, etc, the M.F.V.s were designed so that they could be converted into fishing vessels after the war. One of these boats, M.F.V. 933 built in 1945, later became "Jessie Alice" OB357, then becoming "Ocean Gem" BF23, FR311 and finally BF256. Another of the M.F.V.s worked from Eyemouth from the late fifties, firstly as "Fidelity" BK63 and latterly as LH390. Fidelity was owned by the Maltmans at Eyemouth until the late seventies. At this time, Fidelity was sold to Arbroath, becoming AH113 until the early nineties. One of these M.F.V.s survives today (August 2007) as the pleasure vessel "Cornish Maiden" in Erith, Kent. Ordered as M.F.V. 613 in December of 1942 and completed in the May of 1944, the boat saw Admiralty service at Portsmouth. M.F.V. 613 was sold on in 1948 to Trinity House and renamed Burhou, and became a pilot and work boat around the Channel Islands and taking supplies to the Casquets lighthouse. After being one of Trinity House’s longest serving boats, Burhou was sold into private hands in 1989 and spent the years 2002 to 2005 as the first offshore “off-licence”. Now undergoing restoration, this vessel is on the National Register of Historic Vessels. After the war, the yard moved into the building of fishing vessels, this being a time when the demand for fishing vessels was great, due to so many having been lost in the war. Because of this, the government had set up schemes administered through both the White Fish Authority and the Herring Industry Board which gave financial incentives to fishermen having new boats built. 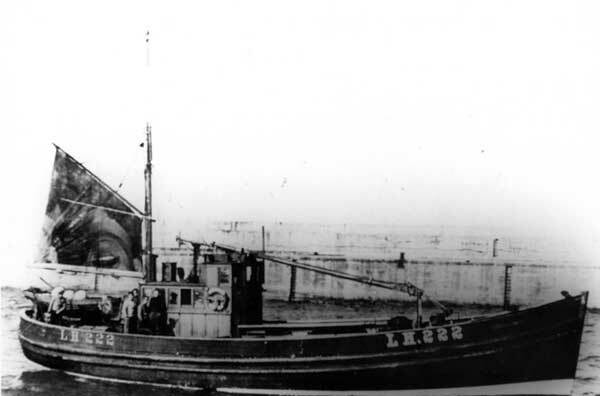 The first fishing vessel was "Mizpah" LH181, a varnished fifty two footer launched for the Port Seton partnership of Peter Donaldson and Peter Jarron in 1946. Built as a dual-purpose boat, capable of either ring-netting or seining, Mizpah’s wooden hull was canoe-sterned, being particularly full about the quarters. The engine fitted was of between ninety and one hundred h.p., built by Crossley Brothers of Manchester. Deck machinery consisted of an Edwinsons of Belfast winch and coiler, which were belt driven from the fore end of the engine. Whilst the boat was good, the engine proved problematic, not being particularly suited to either ringing or seining. It was changed for a one hundred and twenty h.p. Gleniffer as soon as one became available. 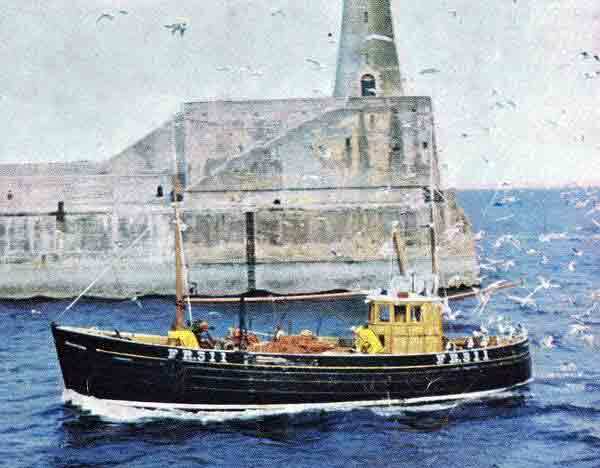 "Mizpah"worked from Port Seton mainly seine-netting, but occasionally ring-netting, until the late sixties, latterly skippered by Jack Jarron, nephew of the owner. 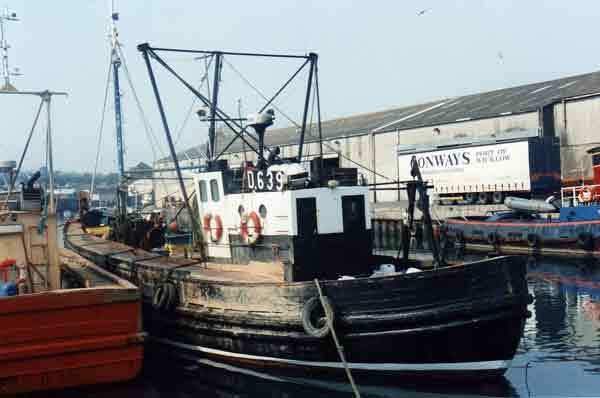 Around 1970, Mizpah was sold to Girvan and re-registered as BA181, having been converted to prawn trawl with a Mastra trawl winch and a one hundred and fourteen h.p. Gardner engine having been fitted by Blair’s of Dunbar. 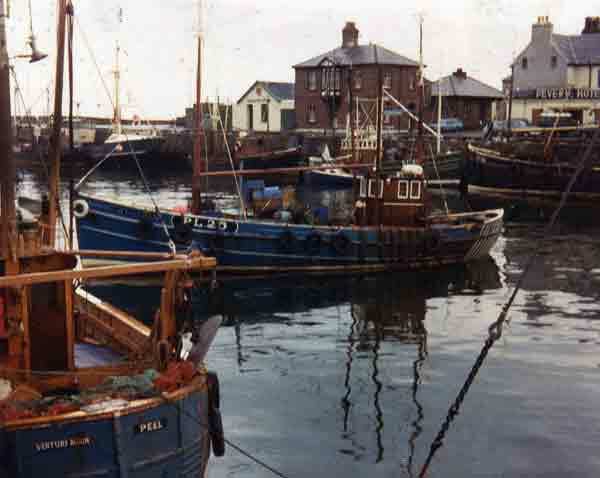 "Mizpah" was followed by the varnished “skiff” "Alexander" LH210 in 1947, built for George Buchanan of Port Seton, and named after a brother of George’s who was lost at sea in the war. Alexander was a fraction under fifty feet, the maximum size allowed to work the seine-net in the Firth of Forth. The motor fitted was a six cylinder ninety h.p. Widdop engine built in Keighley, which was started by compressed air from bottles. Probably due to the scarcity of marine engines after the war the little known Widdop engine was fitted this, rather than having a reduction gear, was direct drive to the gearbox. Whilst these engines were fast, they were troublesome in reverse due to the direct drive. The Widdop was replaced with a one hundred and fourteen h.p. Gardner when one became available in 1951. Fitted with an Irish built Edwinson winch and coiler, "Alexander" was mainly used for seine-netting in the Firth of Forth, although ring-netting for herring was done in season. This deck gear was later replaced by Miller “Fifer” machinery. After a couple of years, "Alexander" was painted green, this being easier to maintain than the varnished finish, and was the first boat in the Port Seton fleet of this colour. Alexander was sold on to John Clark of Fisherrow and renamed as "Sustain", then moving to the Isle of Man, becoming "Sustain" PL25. "Sustain" sank in November 1983, with the crew being taken into Peel by Still Waters of Portavogie. 1947 also saw the building of two vessels for the Herring Industry Board of Edinburgh. Named as "Silver Scout" LH222 and "Silver Searcher" LH234, these vessels had identical measurements, being sixty one and a half feet in length, with a breadth of just over eighteen feet, and an underwater draft of just less than nine feet. Fitted with one hundred and twenty h.p. Gleniffer engines and equipped with drift-nets, these two vessels were built with the aim of finding new herring grounds. "Silver Scout" was skippered by Bruce Buchan of St Combs, with Robert Brown of Fisherrow working as mate for a while. The boats worked from various East coast ports, including Scarborough and Lowestoft, but were largely unsuccessful in their pursuit of new grounds. They were eventually sold on to private owners, with "Silver Scout"crossing to Isle of Man ownership, then on to Ireland. Sister boat "Silver Searcher" went to Fraserburgh as FR95, and later became a pleasure vessel named "Pentland Wave" at Scrabster. "Silver Searcher" as "Pentland Wave" used for dive trips in Scapa Flow and also summer voyages to Norway and Denmark. The next new vessel to go down the Granton slipway was "Girl Isa" LH240 in 1948. This was another varnished boat capable of either ringing or seining. Built for Henry and William Rutherford of Newhaven, Edinburgh this fifty one and a half footer was also fitted with the same type of ninety h.p. Widdop engine. 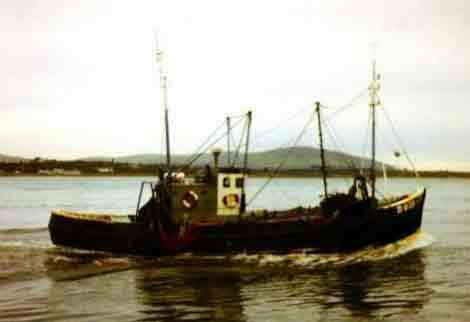 By the mid-fifties, "Girl Isa" had been sold on to the Granton trawler owner, Joe Croan Limited, in partnership with J. B. Imrie of Cockenzie and renamed as "Fisher Lass". 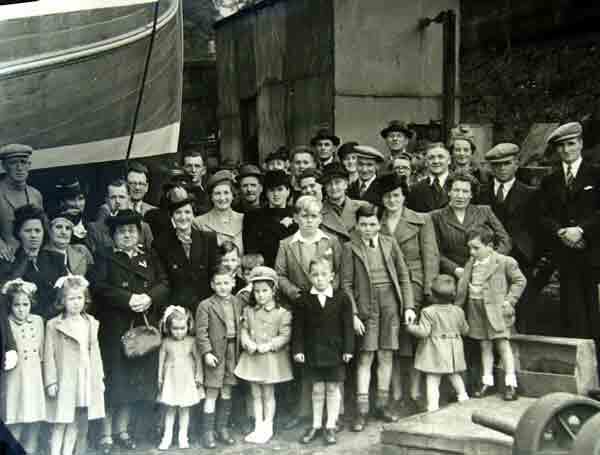 The boat was later sold to Nairn owners, then on to Northern Ireland in the early sixties. Also in 1948 was the building of "Bonnie Les" N216, for Charles Campbell and F. MacDonald of Kilkeel, Co. Down. "Bonnie Les" was a slightly larger and beamier “skiff”, at fifty five feet overall length. The type of engine fitted to "Bonnie Les" when new is uncertain, but, by 1955, it was a one hundred and fourteen h.p. Gardner. Charles Campbell remained the owner, with various other partners, until 1977 when the boat was sold to Southern Ireland and re-registered as D539. "Bonnie Les" stayed with that registration until the early eighties, disappearing from the registry at that point. The final new build from this Granton yard came in 1949, this being "Golden Valley" LH37 for George Jarron of Port Seton. "Golden Valley" was similar in size to "Girl Isa", being only inches longer and fractionally less beamy. Fitted with a one hundred and twenty h.p. Crossley engine, the boat was dogged with gearbox problems due to triplex chain breakages. This was sorted when the first build, "Mizpah", was re-engined and its old tooth and pinion gearbox was fitted to "Golden Valley". By 1960, "Girl Isa" had been sold to an outward bound school in Wales, becoming the pleasure vessel "Everyman III". 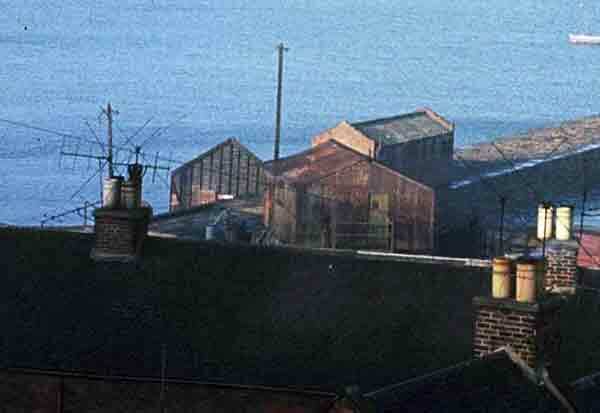 Thereafter, the Martin yard seems to have survived on boat repairs and by reverting to the original joinery business, with an office at West Harbour Road listed in 1960. The firm continued until the late sixties. 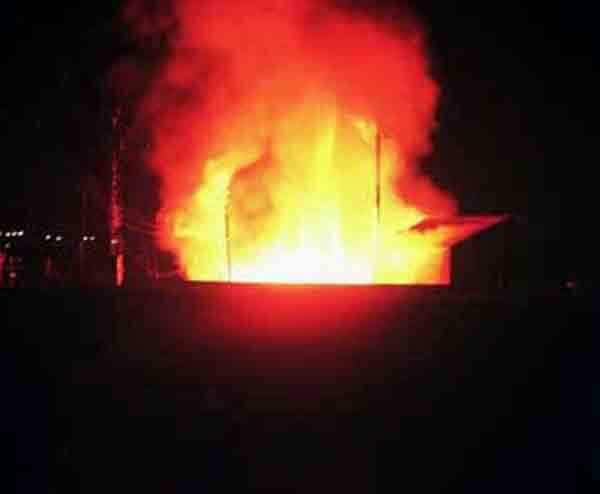 At that time, a fire ravaged their harbour side premises, and brought the boatyard to an end. Afterwards, the slipway winch was salvaged and resold, whilst the cradle and rails went to Johansson of Leith as scrap. 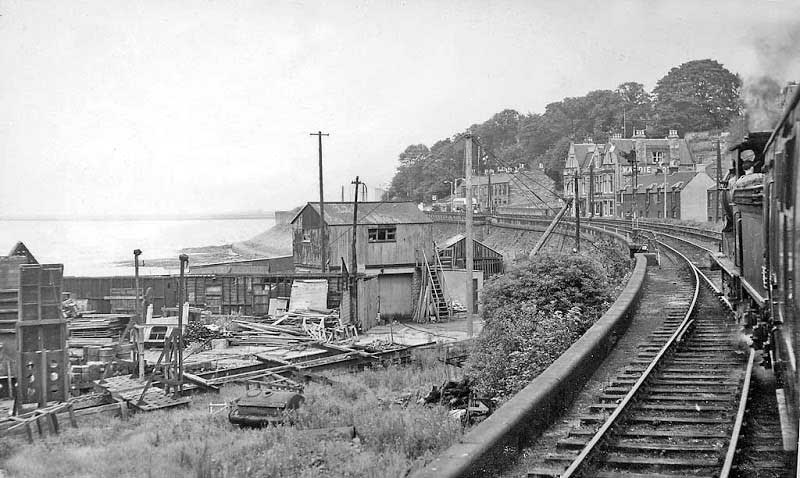 The workshops were later demolished. It seems to be the case that this yard built fine vessels which were let down by indifferent engines and gearboxes. This was not the yard’s fault, merely caused by an acute shortage of marine engines at the end of the war, with builders having to install anything that they could find. One retired fisherman made the comment that the boats themselves were “well enough putten thigether”. 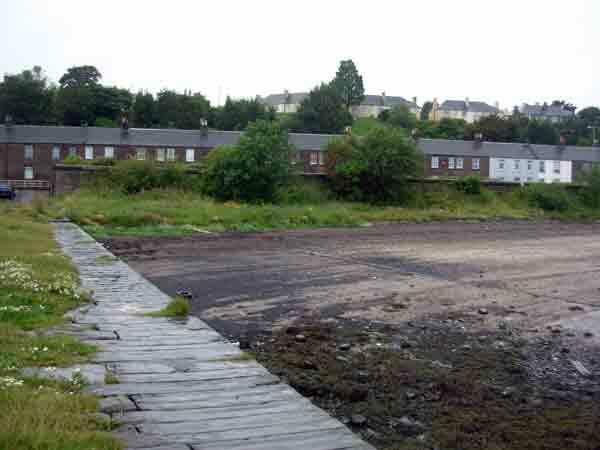 Nowadays, there is no trace of the yard, except for the concrete remains which held the launching slipway. 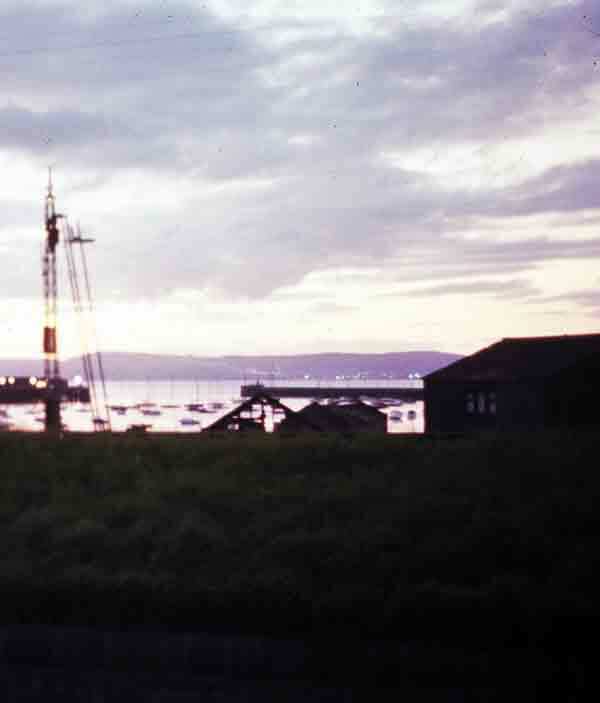 Boats built by Martins of Granton.